Variable Data Printing (VDP) is a data-driven form of digital printing which allows a variety of elements to be changed from piece to piece. This gives marketers the unique ability to produce a single design, yet change names, addresses, graphics, colors, photos, artwork, tracking numbers, and more as each piece is printed. Like Microsoft Word’s mail merge function on steroids, variable data printing can produce hundreds or even thousands of completely unique pieces for a truly customized marketing campaign. Variable data printing uses data from a database to work its magic. It’s a great way to make use of your existing customer information to craft unique and personalized marketing campaigns for a select audience. Since variable data printing allows you to personalize specific details of each and every printed piece, you can craft messaging that strongly resonates with prospects and customers. This personalized approach often translates to more customer engagement and better ROI (return on investment). Both PODI REPORTS and the DMA report that the average response rate for personalized marketing pieces is over 300% higher than the response rate for non-personalized mail pieces. Variable data printing can also be combined with other marketing platforms including landing pages, email marketing, or QR codes, further boosting response rates and customer confidence. How Much Customization Can You Do? The amount of customization you use will depend largely on the available information you have in your database, your printing service, and your available budget. Today’s digital printing technology provides a lot of flexibility for just about any scenario you can imagine. Generally, though, there are basically three ways to implement a variable data printing strategy. The most common way to get started with variable data printing is to change a simple field, such as the salutation, person’s name or address information on each unique piece. This allows you to address each potential customer individually, similar to using mail merge in Microsoft Word. This type of variable data printing creates different levels of customization based on different markets. For example, you might use one type of text or photo for one set of addresses in the database, and different text and images for another. Full variable data printing involves customizing your message for each individual address you mail to. This begins by creating a basic design that defines static and variable fields for each piece to be printed. The static elements will appear the same on each piece, while the variable fields will be filled with text or images based on a set of rules that you define based on information contained in your database. This is by far the most flexible approach and the one that drives the best results, allowing you tailor your message to each customer individually. To give you an idea just how powerful personalization can be, here are some concrete examples of how you might implement variable data printing for your business. Using data collected from thousands of prospective college students, a university could tailor their next direct mail campaign to specific student interests. For example, a section of each mailer could contain a specific color scheme, photo, and message tailored to one of several course curricula. Prospective students interested in science or technology would get one version of the mailer, while the mailer could look completely different for prospective law students, medical students, or English majors. Other parts of the mailer would remain the same for each segment, containing the university logo, address, and contact information. A car dealership could use existing customer purchase data to create a purchase incentive for the latest car models. Variable data printing makes it easy to send a mailer with the exact car the customer purchased, along with details about the latest model, and a generous dealer incentive. This same strategy could be used for any number of consumer purchases. The key is providing personalized information that shows you understand your customer. Using data from current donors, non-profit organizations could use variable data printing to tailor a unique mailer that speaks to the donor directly. For example, you could give thanks for their donation to cause X, and discuss the progress that has been made to that cause, while soliciting additional money to meet a year-end goal. You might also use this data to emphasize a specific project that closely matches the specific interests of the donor. Many businesses could improve the response rates of their reminder cards by using personalization. For car maintenance, for example, including a picture of the customer’s car, along with the service reminder could boost appointments. Doctors and dentists could use personalized mailers to remind clients to schedule their next visit. Hotels and entertainment venues could personalize offers based on the amount of money that customers have spent in the past, reserving the largest incentives for their best customers. Variable data printing enables you to create a generalized offer and substitute a customized coupon for customers at a pre-determined level of sales. 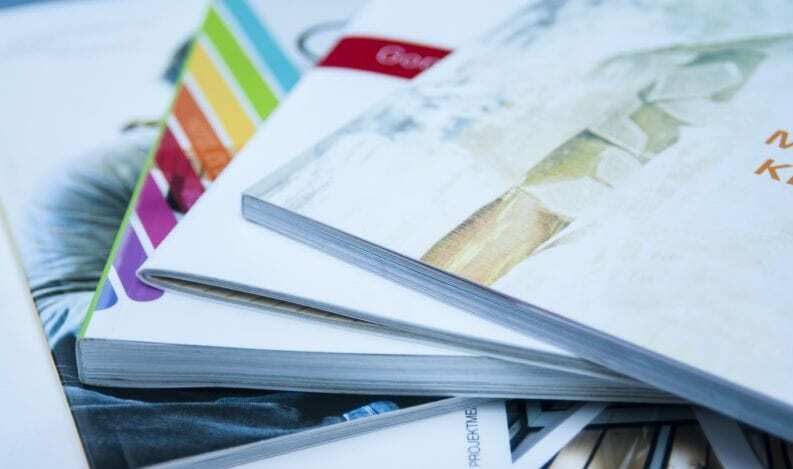 As you can see, variable data printing can be a valuable asset in your print marketing tool box, providing a more targeted and personalized approach that boosts response and increases the ROI of your print campaigns. We encourage you to think about the creative ways you might implement your next postcard, mailer, or special offer. 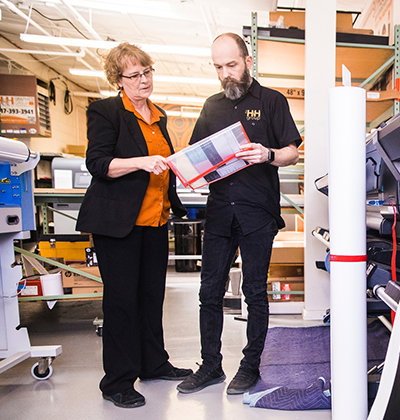 When you’re ready to give variable data printing a try, The H&H Group is here to help with a complete digital print department that can handle quick turn, short run, and high-personalized print materials with ease. Get in touch with us today to find out more!